The MeoStar S2 82 HD spotting scope with the MeoStar S2 20-70x eyepiece is a landmark achievement from Meopta. Meopta's first full-sized, premium spotting scope is designed and intended to rival any other offering on the market today. The new MeoStar S2 is ready for your most challenging observation applications. 82mm HD (Apochromatic) objective lenses deliver crisp, brilliant true-color resolution whether in the early pre-dawn hours or during the last few minutes of dusk. 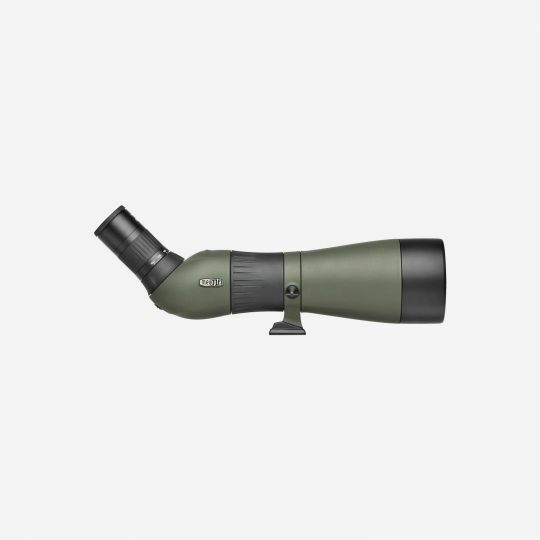 Coupled with our innovative 30-60x WA eyepiece, which provides a constant 66 degree field of view throughout the entire range of magnification. The 20-70x eyepiece provides 45˚ subjective field of view at 20x and a 63˚ subjective field of view at 70x magnification. Optimized for extra magnification range and sharp to the edge image. Push button, quick release bayonet mount. Twist-up eyecup. Nitrogen purged and waterproof.